Today, I have 2 nail polishes for you... and a little extra. The first one is Gosh Purple Heart, requested by Ulmiel. The second is Kiko Purple Microglitter Ivana. They both have blogs, I included links, you should definitely check them out. I must say that I'm very happy with these choices because they're not your typical vampy shade but are complex and do take some audacity to wear. So congrats girls! It's a purple base with a strong, dark green, duochrome effect, almost black in a certain angle. You can also see blue in the bottle close up but that doesn't really translate on the nail and I guess that also contributes in making it a very unique nail polish. Kiko Purple Microglitter is a warm purple with tons of holographic microglitter. Again, it dried in a flash, a little bit on the thick side but I guess it's the downside of being this packed with glitter; a few drops of polish thinner and it was perfect. Chanel Pepite is a sheer pink base packed with tons of holographic glitter. The glitter in Pepite is a little bigger than Purple Microglitter's but there definitely is some similarity so here it is. I need to get Matte About You-- the finish is gorgeous! que des bijoux que tu nous swatches ! j'aime pas les matte en général mais le kiko ressort quand même bien ! @Ivana maybe you could have them sent over to you just like I did, email me if you'd like. 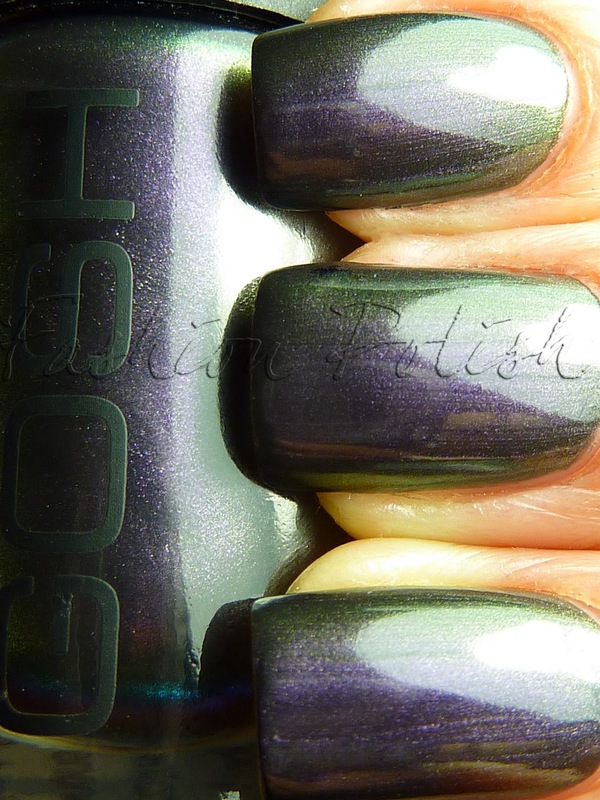 Essie Matte About You is great but I hear that some other mattes are great too like China Glaze's or Catrice/essence, Lacquerized made a comp, check out her blog. I also have ManGlaze Matte'Astrophe which is just my fav matte ever, hopefully I'll post it soon. The firs one looks like a peacock!! WOW! Chanel Pepite definitely made it POP! Love it!